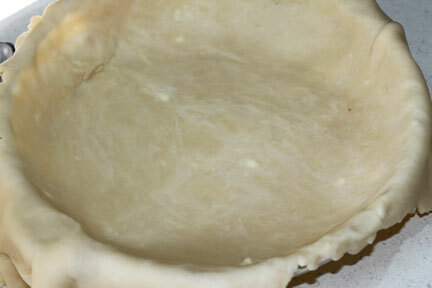 Because my dad has never met a pie he hasn’t liked – I’m sharing this easy pie crust recipe. It is the best ever! Ingredients for the best pie dough ever! Combine dry ingredients until coarse and crumbly. After adding liquid, let the dough rest covered in the fridge for 45 minutes. 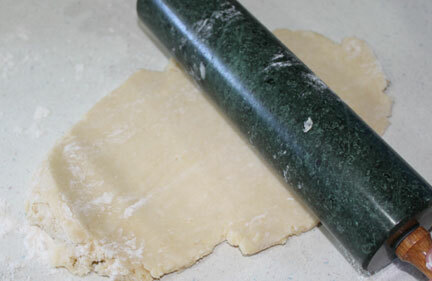 Then roll out on a well-floured surface. I was nearly giddy at this point in the game because the crust was so easy to handle. 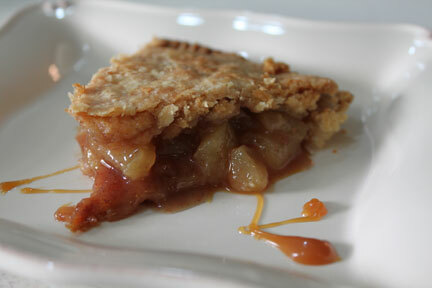 Mine would have been in about 10 pieces of flaky messiness at this point with my old stand-by pie crust recipe. 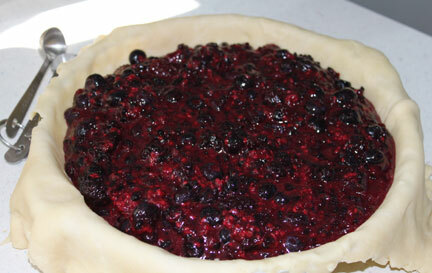 Here’s what the bottom layer looks like with a beautiful berry filling. Did I mention we made three pies? And the top crust goes on so easily. Yes, I am a big believer that a little butter is good and another pat or two is even better! There are no finished photos of the berry pie because Miz Sunshine grabbed it hot out of the oven and ran off to pick up little Miss Sunshine! Process 1 1/2 cups flour, salt, and sugar in food processor until combined, about 2 one-second pulses. Add butter and shortening and process until dough just starts to collect in uneven clumps, about 15 seconds (dough will resemble coarse crumbs ). Scrape bowl with rubber spatula and redistribute dough evenly around processor blade. Add remaining cup flour and pulse until mixture is evenly distributed around bowl and mass of dough has been broken up, 4 to 6 quick pulses. Empty mixture into medium bowl. 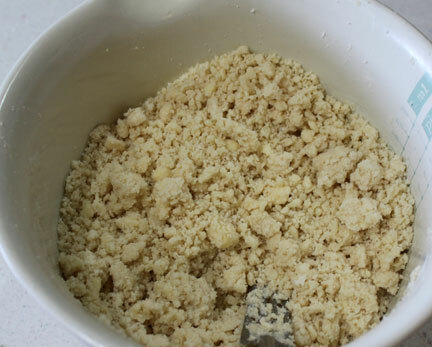 If, like me, you do not have a food processor, get ready to apply some arm muscle and work the dough together with either a fork or pastry cutter until all flour is mixed in and it is crumbly. 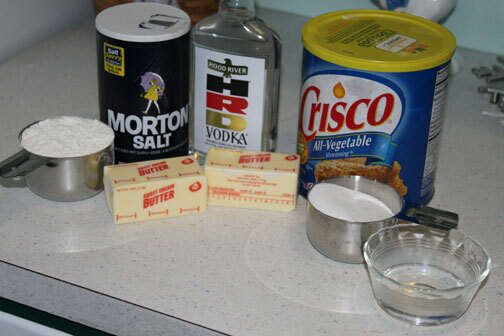 Sprinkle vodka and water over mixture. With rubber spatula, use folding motion to mix, pressing down on dough until dough is slightly tacky and sticks together. Cover with plastic wrap and refrigerate at least 45 minutes or up to 2 days. Generously flour a clean, flat surface and your rolling pin. 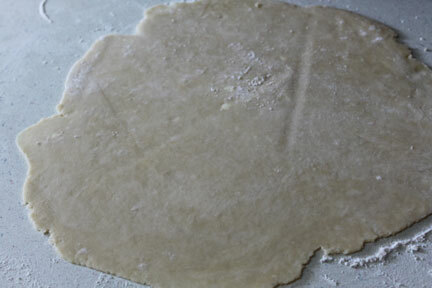 Divide dough in half and roll out one half, turning dough over between rolls to keep from sticking to counter or surface. 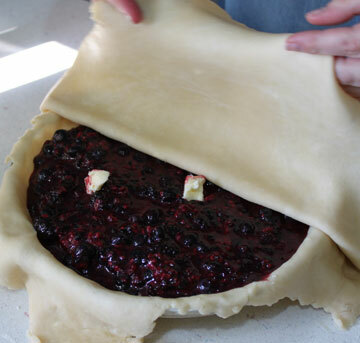 Place in a pie pan and fill with favorite filling or prick with a fork and bake shell until golden brown then fill.